And if ever Tucson opposites exist, consider the exhausting all-hour human carnival at the intersection of Alvernon Way and Grant Road. The street shuffle of the busted and damned, fighting for slithers of comfort. Consider the economic desperation allowing a dead Fry's grocery store, an abandoned Walgreens, a shuttered Circle K, a bustling pawnshop, a glowing car-title hawk shop and a Wal-Mart. Tally dozens of bones strewn against concrete curbs of Alvernon from Church's Chicken, their greased-out containers clinging to gutters and bus-stop bench legs. The profligacy and the carelessness. Consider the flipside, up a block south on Alvernon. The mindfulness. 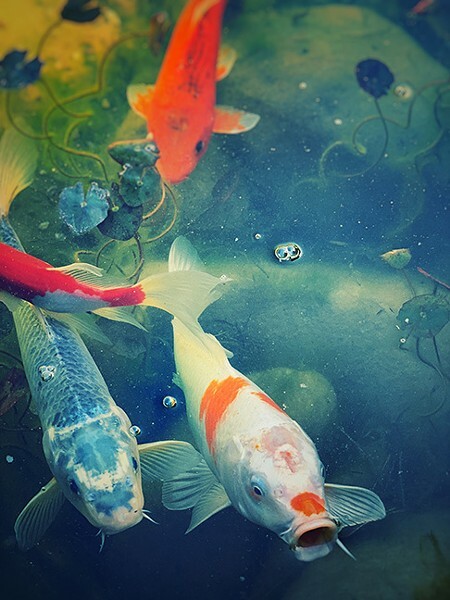 A spotted koi penetrates a pond surface with an audible ripple and purses its lips into a kiss. A butterscotch-colored butterfly, spring's first, hover-skirts to birdsongs around a Japanese stone lantern. Consider a composed Zen garden modeled after Kyoto's Ryonaji Zen temple between a Japanese country house and pruned trees faithful to Japanese ways going back centuries. Consider minimal layers of three-dimensional gardens and meticulous designs still evolving after 1,000 years between boxwood, hawthorn and rising bamboo. 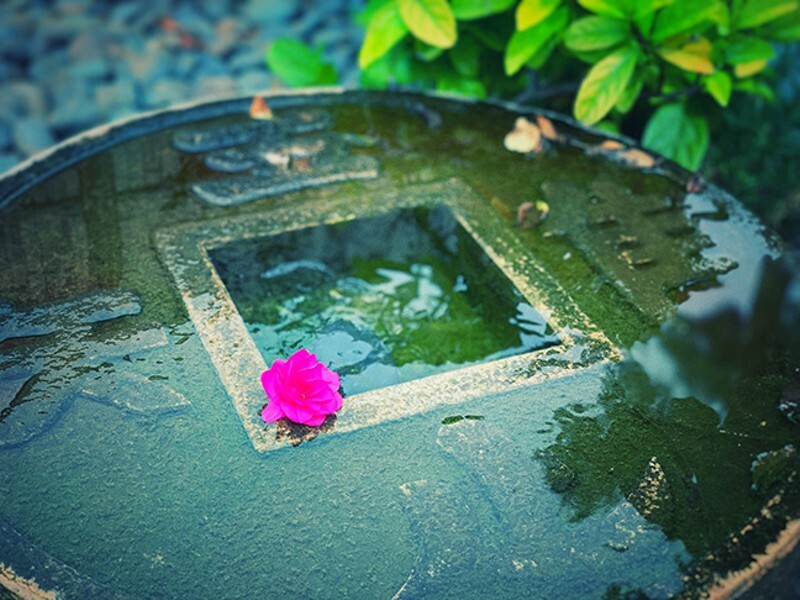 Consider the strength of a single lavender flower floating in a water basin. Consider a path through courtyard gardens like old Kyoto. Trickles of water gain meaningful pitch: A descending calm persuades, and after a fretless hour, maybe three, it owns, straight up. Let it. I don't know much about Japanese gardens, can't really define the framing and depth cues, the layered traditions. The taboos and secret teachings. But each visit, either here at Yume Japanese Gardens in Tucson or in other American cities, elicits some visceral response. I learn lots and it begins on the inside looking out. Lyrical too, banal as that sounds. It begins on a relationship with a world. I feel my heartbeat pulse against my sternum. It begins with that and my depression begins to wane. Surges of Alvernon and Grant vanish inside. A distant dust-blower recedes. Tucson recedes. John Cage's Ryonaji loops inside my head. Sets a tone. Patricia Deridder moves with ease through her gardens. Graying hair falls past her shoulders. A blousy black sweater and floor-length scarf accent casual grace. She's guarded, worried she'll reveal too much and, yet, stories of life and garden unfurl without pretense. Expressive sentences lift on a French lilt and she tells of being a girl born with a fierce desire to travel and learn. She's long been guided by her "discovery" gene, as she calls it, passed down from her grandfather, an explorer in the Congo. She once wrote a letter to now-defunct Belgian airline Sabena about becoming a stewardess, as they were called in the '60s. When her parents got her on an airliner, she saw stewardesses as waitresses in the sky. Hardly her dream. Later, at 18, leaving her parents and brother in Belgium for Japan wasn't escape, rather a way to attach her intellectual curiosity to a fascination with Japan. She didn't know English, much less Japanese, but an au pair she'd briefly met invited her to live in Japan. A traditional Japanese family, polite. "There are miracles," Deridder says. Nobody spoke French, her first language, in Japan, English was an alternative. She studied English and Japanese. Enrolled in a second university evenings. The Japanese life and study kicked in—comparative religions, Asian studies and archeology. Earned her undergraduate degree and completed her masters at the University of Hawaii. The latter took but a year. ("I didn't see the beaches.") Back in Japan, her study of ikebana flower arranging styles and gardens continued in earnest. She learned nuanced levels of the Japanese language, learned to feel the word, the etymology, and not just translate. She began years-long work on her PhD, which she never finished. Love and marriage to an American took her to Madison, Wisconsin. The marriage fizzled. The single mom raised a son and daughter. "I had no intention of living in the states," she says. "I would've been able to continue my work in New York or Chicago, but I had to stick to Madison." Her skill of peering through horseshit is honed, that peculiar insight that backs people into corners in life. It's never easy to be a foreigner in America if your particular skillsets aren't desired, needed or understood, and if your goals don't necessarily coincide with big profits. So this Belgian-born, Japan-educated single mom reinvented herself as a Midwesterner, enrolling in classes to learn midwestern things, such as flower arrangements for weddings. With no budget and no bank loans she started little businesses, a flora studio, did PR, and translated Japanese. Means to raise the kids. Her children, with whom she's very close, now live in Chicago and Boulder, Colorado. She knew the day they "left Madison for university they wouldn't come back." Could be that discovery gene. A friend led her to Tucson after two decades in Wisconsin. A move maybe best described as a quest. 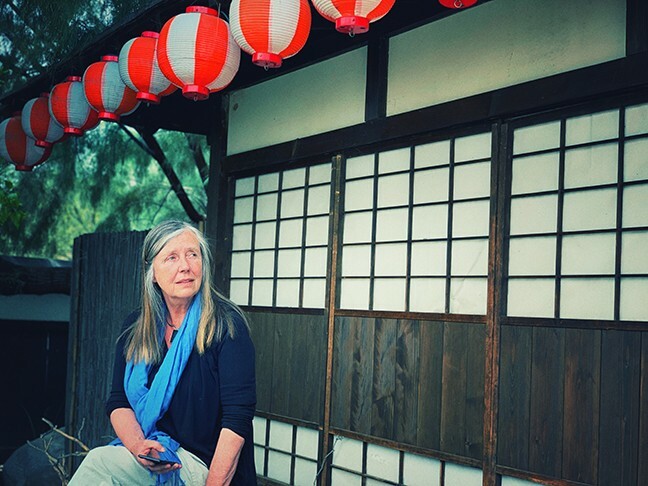 Her dream was to translate for Tucson what she had learned in Japan, and gardens are, she says, the best way to convey Japanese spirit. Sounds like crow but it rings of truth. The gardens are her sincerity, and a bequest to Tucson. Family inheritance allowed her to purchase the former Native Seeds property, the front house and its land, which is about the size of a large backyard. (She bought a place in Marana to live in.) It became Yume Japanese Gardens in 2013. "I created this in one year," she says. "It was a dirt field. I had a Mexican crew, and they didn't know Japanese and I don't know Spanish. The right stones took me months to find. The correct granite and plants." She shipped pieces of an old farmhouse from Japan. The non-profit Canelo Project knew Japanese stucco. That helped. The city wasn't so helpful. Created piles of paperwork hell, for the correct permits, "for this or that. Having to reapply. Little people get hell." But things are looking grim. The non-profit public space loses money. The small museum of Japanese artifacts, and an art gallery showcasing artists and photographers, go mostly ignored. After five years in operation she has maybe 100 members. Not for shortage of effort: Deridder teaches the traditional Japanese art of ikebana, flower arrangement methods still evolving after 550 years. 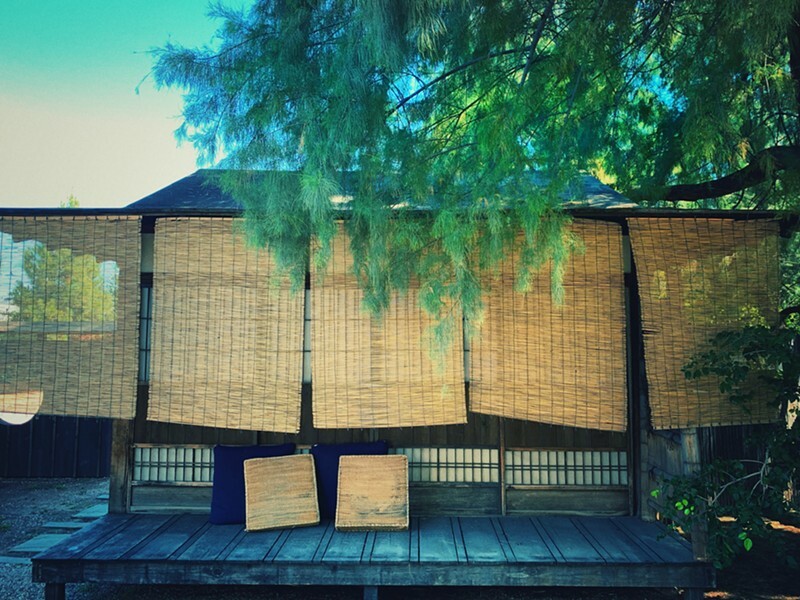 Yume holds classes and workshops in Japanese language, calligraphy, pruning, origami. Yume festivals celebrate Japanese national holidays such as Children's Day. There's a "Stroll for Well-Being" program. Deridder points to a row of pines, trimmed to a virtual haiku by a Japanese pruner whose 30 years of experience qualifies him for such work. His knowledge and work are not cheap. The gardens demand such upkeep and effort. "You cannot learn the Japanese way in one day," she says. "It takes generations." And she can be impudent in her pragmatism when detailing specifics of the garden, spotting imperfections overlooked by an untrained eye. Such imperfections, these endeavors to perfection, seem to haunt her. Make her a pessimist of sorts toward her work, and because of that she has a hard time keeping the volunteers working at her gardens. Her reliance on volunteers is key. Yume Gardens may close soon unless more people join and share the space. Her biggest expense is three employees who take turns at the front desk. 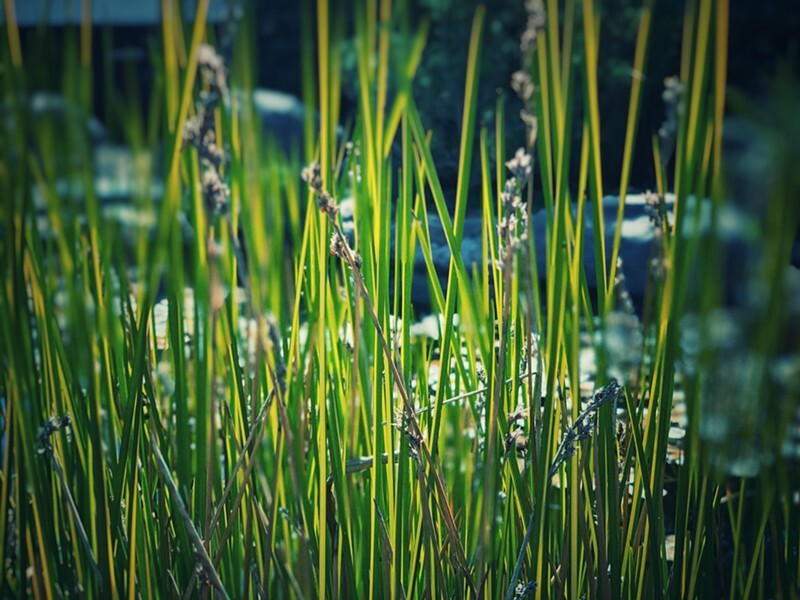 There's upkeep: "The pond alone costs $250 a month." Her partner Allen Boraiko helps around the gardens, does the writing for the press sheet and website. He's an author who wrote for National Geographic, lived many years in Chile. He seems kind, gentle. "I don't know what I'd do if Allen wasn't here," she laughs. "But I do know it takes a lot of will to do this." In this move-fast depersonalized existence, accepted definitions of entire worlds and philosophies come in 280 characters or less. We are automated to external controls and social platforms. Technology advances so fast that much beauty and humanity is lost without even a sad farewell. These gardens are the anti-avarice, the anti-inertia, the anti-hubris. They embrace culture but not mass culture. They are walled in but they are not disconnected. They are dead quiet but they link to a greater world. The area is small but feels big and spacious. The place is so damn lovely. Yes, the Yume Japanese Gardens are not the desert, but they are in the desert. A Japanese garden in the southwest works because, Deridder says, "Native Americans had similar ideas of gardens." They did and they do. The core belief is spirit exists in all nature. The resolve is to live in harmony with that spirit. "If you want to portray another culture you have to do it with integrity," she adds. "I don't have the right to deface another culture. This is more than culture, this is finding a peace in life. I would rather close it than give a fake image of Japan." The frustration of introducing Tucsonans to the basic components of Yume is hardly free of comedy. Some walk through and ask where the restaurant is. Deridder shudders at the thought. "But I still have a fighting spirit." Then the 67-year-old squints and offers a tender chuckle. "I'm getting too old and burnt out. There just might be someone out there to replace me." She adds, in the spirit of her long-dead Congo-exploring grandfather: "I'm ready for another adventure, a more peaceful one."